Maasai Mara and southern Kenya - The Maasai Mara is one of the most renowned safari destinations in Africa and for good reason. Its plains are home to huge concentrations of game and every year, from July to October, over two million wildebeest flood the plains providing one of nature’s most extraordinary sights. The camps here are usually tented and traditional in style, for an authentic safari experience with a focus on guiding. The Chyulu Hills form a spectacular, though little known, reserve between the Amboseli and Tsavo National Parks. The terrain is a mixture of rolling foothills and open short-grass plains, and although many of the “big five” can be seen, the wildlife is more interesting than abundant. Lesser kudu, oryx and cheetah are among the more unusual species that can be seen. Tsavo is the largest national park in Kenya at around 21,000 sq km, and Tsavo East consists mainly of vast plains of scrubland, home to huge herds of elephant. Laikipia and northern Kenya - Laikipia District is a vast plateau running from the foothills of Mount Kenya to the edge of the Great Rift Valley and covering over 9500km. Large areas of open grassland in the north and south are dominated by acacias, while olive and cedar forest characterize the east of the plateau. 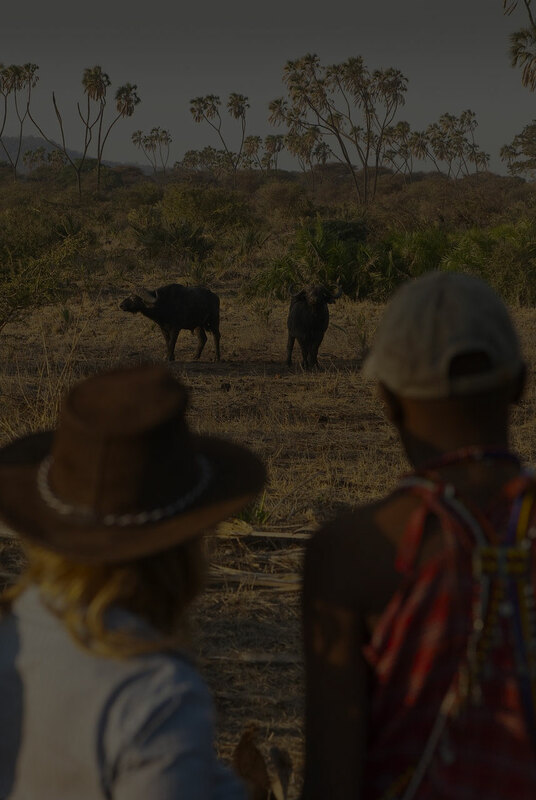 Home to such diverse tribes as the Samburu, Kikuyu and Boran, the combination of abundant wildlife and exceptional scenic beauty has enabled Laikipia to become a world leader in the development of pioneering conservation initiatives. Nairobi and central Kenya - Nairobi began as the railroad depot of East Africa in 1899. Since then, it’s become one of the major cities of modern Africa. It’s a vibrant, growing city, a mosaic of many races and cultures, but it still retains its charm, with wide jacaranda tree lined avenues and colorful markets.